A routine traffic stop over the weekend led Maryland police to nearly 100 grams of heroin as well as a forged oxycodone prescription. The traffic stop took place in Annapolis and resulted in the arrest of 3 Maryland residents for various criminal offenses including drug possession, theft, and drug possession with intent to distribute. Although the traffic stop was routine, the events that followed the stop and led police to the drugs were hardly routine, and could raise multiple legal issues. Annapolis police stopped the bright green Lincoln at around 5 p.m. for an undisclosed traffic violation. The undisclosed traffic violation could be for anything from a broken taillight to failure to stop at a stop sign but chances are that the bright green car caught the eye of the Annapolis cops. As many criminal lawyers know, when a car raises red flags police typically will not wait for a traffic infraction to occur before making a traffic stop. Rather they will make the stop and then figure out a believable traffic infraction later. After Annapolis police made the traffic stop they approached the vehicle and learned that the driver was driving with a suspended license. Police also discovered that the passenger had three outstanding criminal bench warrants for his arrest. Right there, the police had probable cause to arrest both occupants of the car, which they did. Search incident to arrest also allowed police to search the vehicle, and this led police to an unlabeled bottle filled with Percocet and a digital scale. Percocet is a brand name prescription drug consisting of a combination of 5 to 10 mgs of the narcotic oxycodone, and 500 mgs of acetaminophen. Police also searched the passenger incident to his arrest and found a stolen oxycodone prescription in his pocket. The driver was charged with 2 crimes, driving on a suspended license and drug possession, while the passenger was charged with theft. Both were arrested, and legally speaking it appears that arrests of the passenger and driver will hold up in court. The heroin bust did not directly involve the stopped green Lincoln or the passenger and the driver of the Lincoln. Rather, the heroin arrestee was a woman who approached the Lincoln while police were conducting their investigation. The circumstances surrounding the heroin arrest appear to have legal issues. The woman, who was eventually charged with the heroin possession and drug possession with intent to distribute, walked up to the green Lincoln and allegedly demanded that she be able to retrieve her own car keys. These keys were to a rental car that was located nearby. Eventually police let the woman retrieve the keys, but then followed the woman back to her rental car and began to question her. Police became suspicious (because police always become suspicious) and asked the woman for permission to search her car. The woman exercised her constitutional right to be free from illegal searches and her right to privacy and said no to the search, whereupon police brought over a drug sniffing dog. The drug dog alerted to the trunk of the car where police found nearly $16,000 worth of heroin, and the female was arrested. From these facts alone, there appear to be major legal issues with the discovery of the heroin in the trunk of the car. Under the constitution, citizens do not have a right to privacy of the smell that their cars give off. In other words if a police dog happens to walk by your car in the parking lot and alerts to a drug, you may be subject to a search. On the other hand, police can not detain you and make you wait for a drug sniffing dog to come over and sniff your car without independent probable cause. This is what appears to have happened before the woman was arrested. Police were suspicious of her behavior and tried to gain permission to search her car, but when the woman said no police were legally obligated to let the woman leave unless they had specific evidence that there were drugs in the car. The woman was most likely told to stay while police brought over the dog to conduct the drug search. This frequently used tactic is illegal, and the evidence should be suppressed unless prosecuting lawyers show that the police acted within the constitution. 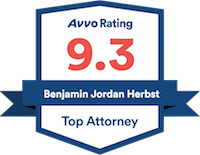 Benjamin Herbst is a Maryland drug lawyer specializing in all drug cases such as marijuana possession, heroin possession, and drug possession with intent to distribute. If you or someone you know has been arrested for a drug crime in Maryland, contact a Maryland criminal lawyer today for a free consultation. 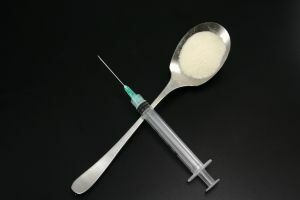 Traffic stop leads to heroin bust in Annapolis, baltimoresun.com.